Don’t miss the English OPEN tournament! We have attended more than a dozen tournaments between us and learned a lot along the way about what we like and what we don’t like about tournaments. Apart from the Ramsgate outdoor tournament in July 2018 there wasn’t a large tournament in England in 2018. Given the growing community of pickleball players, this is bad news. So even before we started work on pickleballEngland, we started work on creating the English OPEN. In order to encourage players from across England and from other countries, we knew we needed a large enough venue to host several hundred pickleball players, located in the middle of the country if possible. One of our tournament directors, Sam Basford, knew that Nottingham University had a fantastic venue, The David Ross Sports Village and that was at the top of our target list. There are 20 courts, with viewing balcony and commentary box. Nottingham is central and is accessible from Birmingham, East Midland and Heathrow airports. It has good rail and coach services too. As the National Express website states ‘despite the Robin Hood connection, you don’t need to rob from the rich to afford cheap coach tickets to Nottingham’! As it is a University, you can only hire the venue outside term time, so we looked at the bank holiday weekend’s. Other tournaments were scheduled for the May bank holiday and Easter, so we decided to go with the August bank holiday weekend. So our date and location are set. What else was on our list? We wanted to make the event affordable. We reviewed all the tournaments that we have attended over the past few years and looked at the cost to players for all of them. We wanted to make sure that our cost was pitched at the lower end of the scale. At £25 early registration and £10 an event, we have definitely delivered on that. Next up is format. We have attended a lot of tournaments where you are hanging around too much. This might be because of the software package being used, the format of the tournament, logistical issues, etc. The best run tournament in our mind was the 3rd International Pickleball Tournament Holland last year. Not only did Bernadette Snijders Blok and her team run a tight ship, they made sure that everyone knew who they were playing and when and where. It ran like clockwork. We want to emulate that! We will be offering an age/skill level tournament with the guarantee of a minimum of 4 games, rather than the double elimination format favoured by the US Tournaments. We want to create a vibrant, friendly atmosphere during the tournament, so we will be working hard with our volunteers to pull out the stops to ensure everyone has a fun time and wants to come back next year! We have set up an affordable dinner with party afterwards on the last day of the tournament. One of our favourite players has agreed to DJ the party. If you have never attended a pickleball tournament before, there is nothing to fear! Everyone is amazingly friendly on and off the court. Our volunteers will be there to help you with any questions you have. You can look forward to playing different people and picking up some tips along the way. We want to attract players from all countries to the tournament but with 9 tournaments in Europe this summer, we might not attract the number we were originally hoping for as there are so many to choose from. From a players perspective, you are spoilt for choice! 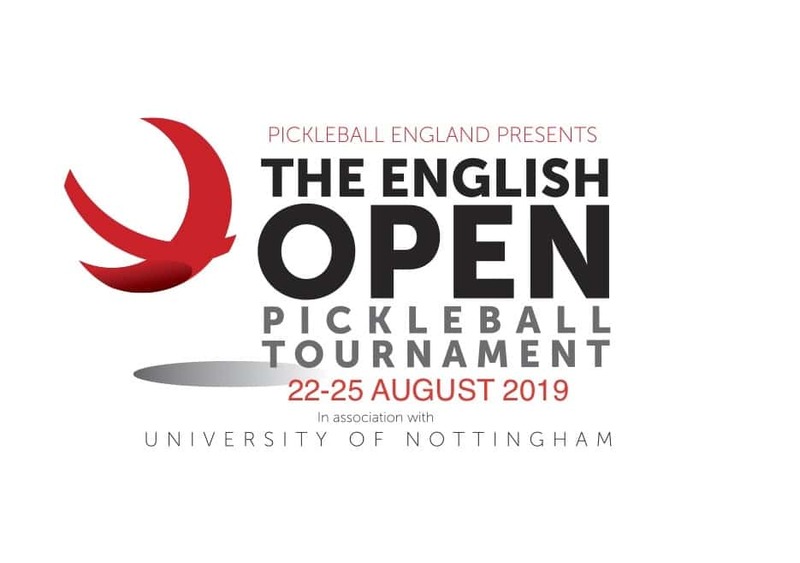 We hope to meet as many pickleballEngland members as possible in Nottingham.